There are several options for people who would like to stay the night in Mountshannon, including the hotel, B&B's, holiday homes and camping. 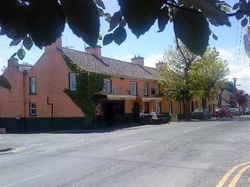 The Mountshannon Hotel is centrally located and the venue for the Saturday talks. There 16 rooms and the hotel has south-facing outdoor decking. Bar food is served throughout the day and you can expect music here on Saturday night. 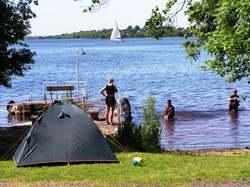 The Lakeside Holiday Park is situated on the shores of Lough Derg and is only a 10 minute walk from the Festival. There are places for caravans and tents and there are also holiday homes for rent. 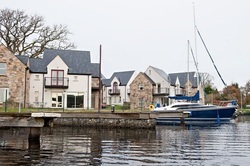 Lakeside Holidays has many self-catering holiday homes for rent in and around Mountshannon. There is choice between lakeside houses and staying in the village. 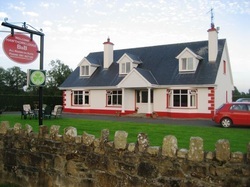 This Bed and Breakfast place is located just outside Mountshannon village and is an easy ten minute walk from the Festival. 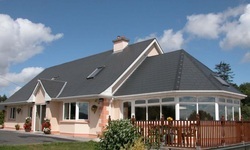 Hawthorn lodge has Bed and Breakfast accomodation and is located 1km from Mountshannon on the Galway/Portumna Road.